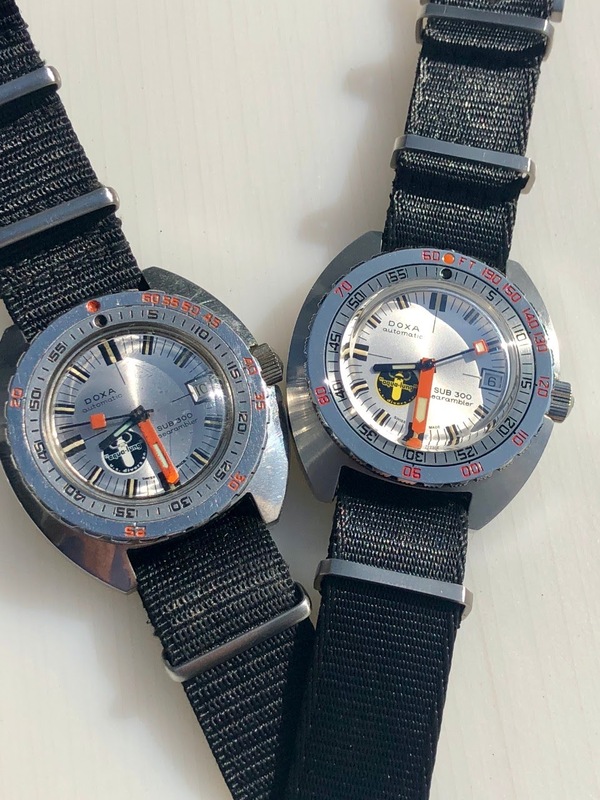 Horological Meandering - Doxa Sub 300 Silverlung Original and Doxa Sub 300 Searambler Reissue. 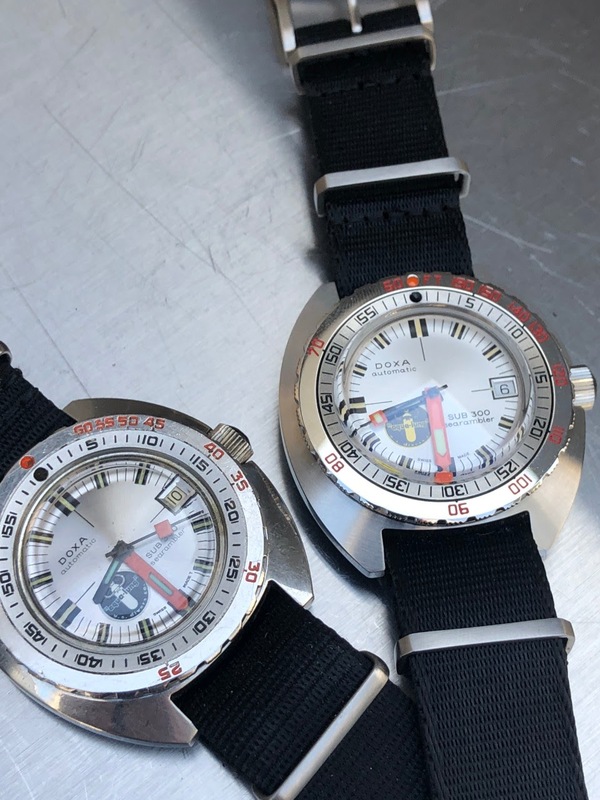 Doxa Sub 300 Silverlung Original and Doxa Sub 300 Searambler Reissue. 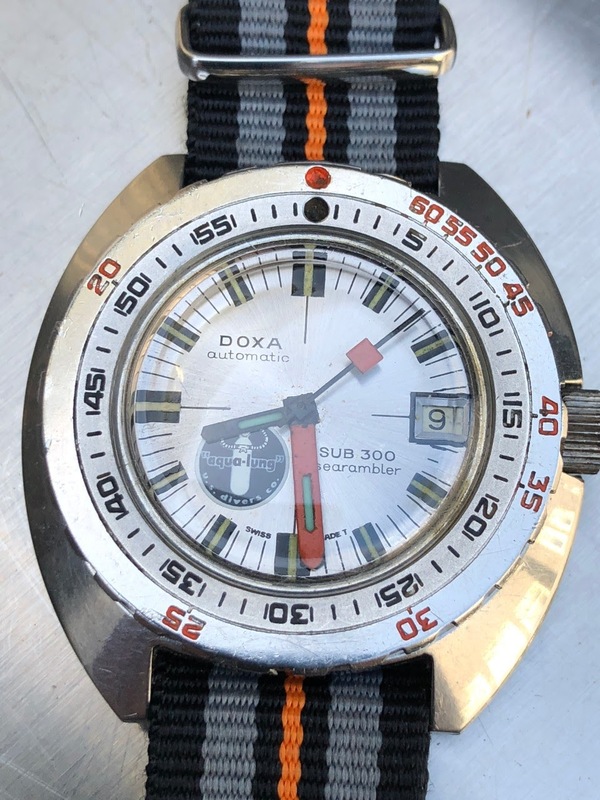 Doxa the venerable dive watch company famous for it association with Jacque Cousteau and the Aqual Lung 50 years after the original Searambler was introduced in 1967 give us the reissue. This is the third installment in the Doxa 300 (no T) reissues. What is also special here is the very rare bird next to the reissue around four known example of the "Silver Lung". There is always some confusion with naming conventions as there is also a "White Lung" as it appears all in white on the Sub 300 no T "Shark Hunter". We are all familiar with the "Black Lung" with a less than 20 examples and the Shark Hunter "White Lung" I have never heard an official count but extremely rare. But seems the Silver lung being the last to surface is the most rare. I am sure I have confused you all but here are a few pictures to shed some light. Side by side with the reissue. Not too bad these old boys. No question. But as always do the reissues help or hurt the originals. I guess you would have to say the help in popularity but the are so close that the rarity is only appreciated by true collectors. In any case there is no real financial pressure driving demand as the prices remain conservative. 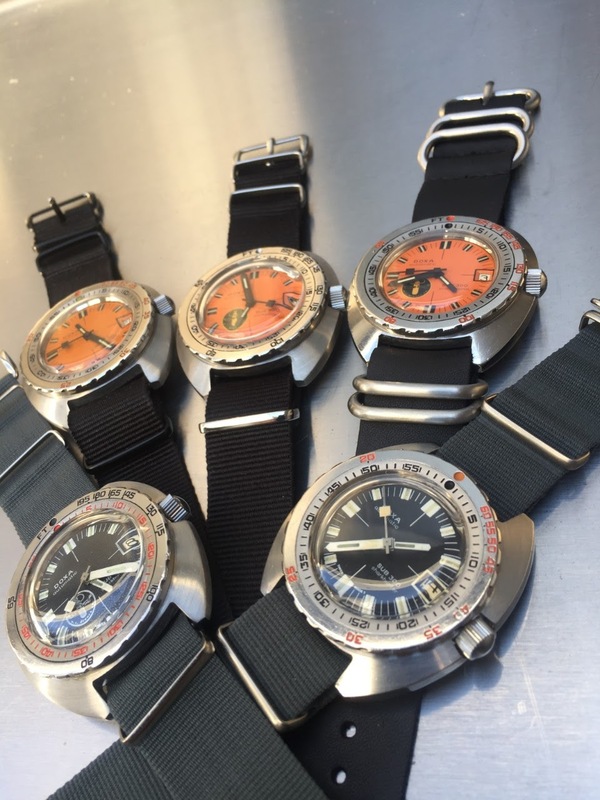 I agree with you Bill..
Doxa watches are a part of diving history and prices don’t really reflect this. The reissues a least keep the Doxa name alive. Your Doxa connection is second to none, Bill! And these are truly fantastic Thanks for clarifying a couple of things - never heard of the White Lung before! To be more accurate both the Searambler and the Sharkhunter 300 (no T) share the same white lung. Searambler.... what a great name! Thanks for sharing these nuggets with us. 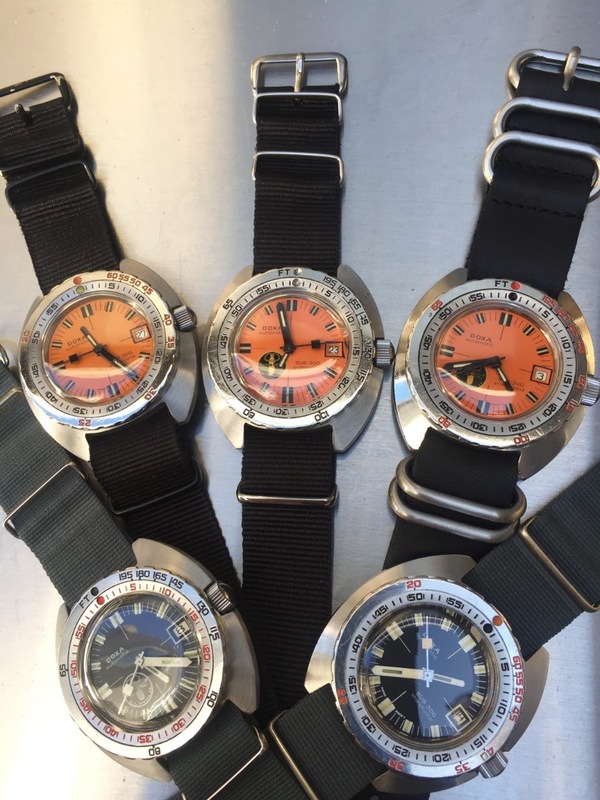 Your doxa collection looks very complete. I agree the next one will be the Sharkhunter with the aqualung in yellow like the searambler. Stumbled over this great post with superb pics of your diving line-up !.. Thx Bill for this comprehensive information.. For Humble Me this Doxa family..